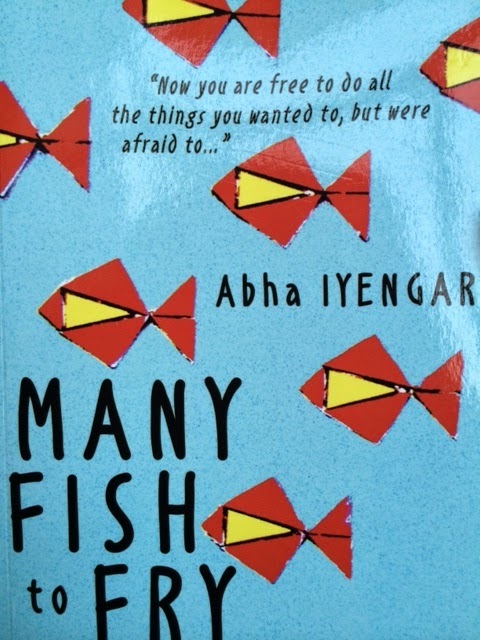 Abha Iyengar’ novel, Many Fish to Fry is a joyful reading experience. It talks about Delhi, its people in a kaleidoscopic adventure of contemporary times. Delhi has grown and so has its population, bazaars, malls and colonies invariably known in India as places. Hilarious to the core, Abha explores the cosmopolitan environs of Delhites, their eagerness in living and loving in a crowded thought within numerous such moments. As a Delhi seeker, I have been reaching out to this city since my teen years. I have seen it changing to a mega metropolis but always a home to people irrespective of class, caste, origins and even nationality. 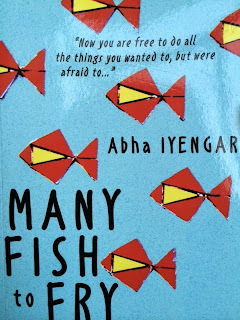 Abha’s search towards a novel within such a milieu, short sections almost like a prose poem, detailing streets, galis and daily ruminations of families living in block of flats. To my greatest love, she even takes us on a tour of Old Delhi, its garish jewelry shops and craftsmen who live in meager conditions. Abha’s novel revolves around Delhi women, their expectations, desires and ambitions to grow and prove themselves in a vastly mobile economic climate. The Hilsa, Bongs separated from Bangla and living in Delhi, a South Indian lady, her immediate neighbor narrating the story of their lives brings me the picture of easy style of writing of a possible memoir about a Japanese girlfriend and her love for her cat and boyfriends living in an equally huge metropolis of United States. Vikram Seth brought them alive very much like Abha Iyengar’s book, ‘Many Fish to Fry’. Wish she could have brought a gay relationship too within, that would made the book far more flirtatious, gay being such a taboo in India. I remember the endless cups of Dhaba Chai , I had near Arpana Caur’s home at Siri Fort and engaging back home on endless discussions whether the Hilsa I was having is the genuine one from Padma or its a duplicate from Mynamar. You can never get a Hilsa out from a Bong but you can get a Bong and Hilsa in an amicable relationship out of Bengal. Nandita Bose mentions rightly about many slices of life but to me they seem all connected in a rapid life scan where jugad is as infamous and acceptable as Delhi is. Here is to Delhi, the whiskey and fried hilsa, dimmed lights, the faint aroma of my girl friend, she still lives close to somewhere there.